The original on your bike will be deep spline, as my SPIII had of the same year. i have just the flap. the gear side is clean and dry as is the clutch, the oil is only behind the clutch on the back face of the engine. I am going to use the gear to align the clutch, I will put a new main crank seal and a new gasket for the pipe, Perhaps its worth a gear input seal for good measure as i have it in bits? i have put output seals and push rod seals in to. when i get to the re-assembling as apposed to dis-assembling and its more back together I will have a look at the ball valves, i have to many bits of the bike spread over the garage at the moment. - thanks. 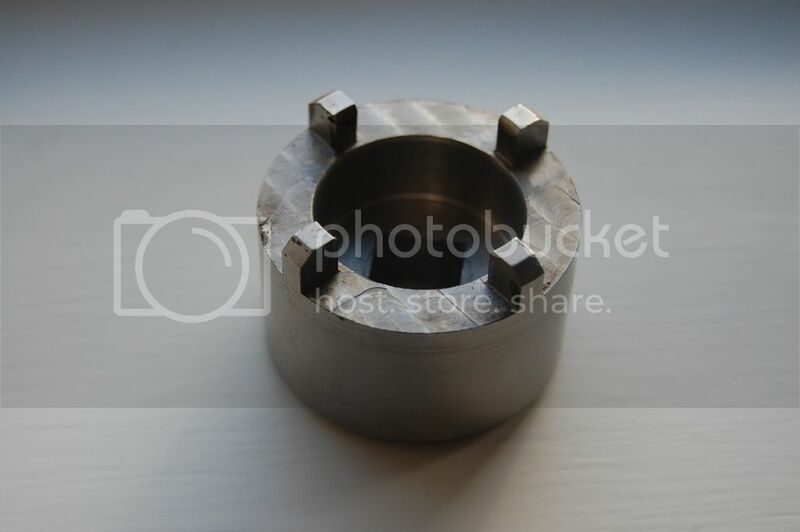 Thank you G, I did see that one on my search but thought it was different as it is made of stainless whereas the one pictured above looks like tool steel and has beveled edges. I ordered mine 8pm tuesday and it was sent with DHL 10am on the Wednesday.